When You Go To An Unknown Place, Then Google Maps Helps You A Lot By Informing You Info Of Places And Route. You May Also See Photos Of The Place Which You’re Looking On Google Maps, Also A Lot Of Information Like Opening And Closing Time Of A Shop. Phone Number To Contact. Google To Make Navigation More Easier For Users, Launched A New Feature For Local Guides Users Which Allow To Submit A Video Up To 30 Seconds For A Place. 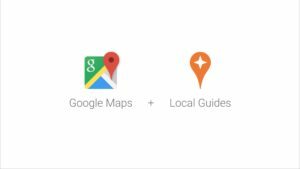 Local Guides Is A Program In Which Users Contribute In Google Maps By Adding Missing Places Which Are Not Listed In Google Maps. Local Guides Can Also Add Photos, And More Info About The Place. Google Also Gives Rewards For Contributors. Rewards Are Like You’ll Get Google Drive Storage, Access To Some New Products That Not Available For Public And More. This Feature Was Available A Couple Of Weeks Ago, Now Google Is Informing Local Guides Users About It By Notifying Via Email. Previous To This Only Photos Can Be Added To A Place. But Now Video Can Also Be Add. Simply Open Google Maps On Android As Its Available On Android Only. After It Search And Choose A Place In Google Maps, Scroll Up To Add A Photo. Choose Camera-You’ll See A Bubble Type Icon Which Will Say “New!! Hold For Video”. Hold Down The Button And Record. You Can Record Video For Up To 10 Seconds And Upload A Video From Your Storage Up To 30 Seconds. This Feature Is First Spotted By TechCrunch, However, This Is Currently In Testing, May Not Available To You.